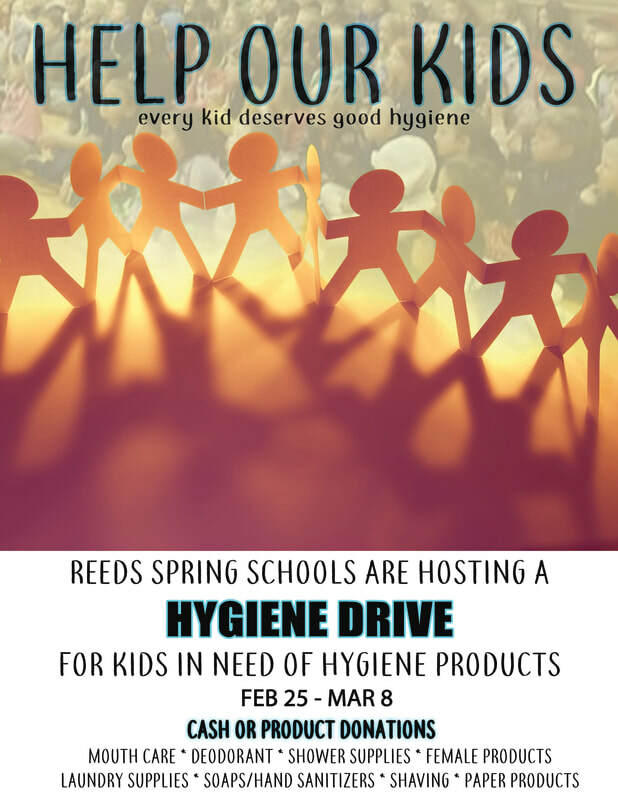 The Reeds Spring School District is collecting hygiene products to provide to families in need. The goal is to improve the overall health of families in our district. A flyer for the event specifies the district believes that every kid deserves good hygiene. The drive was organized by the students in the high school Cornerstone class. Each building in the district will collect different items. The Hygiene Drive will begin February 25 and run through March 8. Students from the Reeds Spring High School Cornerstone class will sort and package the supplies to be handed out to families on March 14. Anyone interested in donating cash can contact John Kessinger, who teaches the Reeds Spring High School Cornerstone class. Kessinger can best be reached via email at jkessinger@wolves.k12.mo.us.